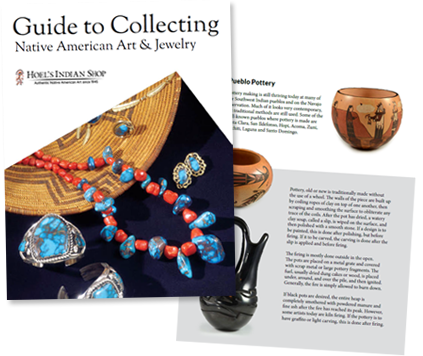 Ted is the son of Tewa-Hopi potter Garnet Pavatea, who demonstrated Hopi pottery and exhibited at the Museum of Northern Arizona Hopi Artist’s Exhibition from 1953-1981. Ted had an interest in art since the age of 6 years. As an 8th grader in Junior High, he had a one man show at the Art Barn in Flagstaff, AZ in 1967 with his paintings and drawings. He went on to study at the Institute of American Indian Arts in Santa Fe, New Mexico in 1971-1973. He also studied Advanced Design and Illustration at Northern Arizona University from 1973-1975. 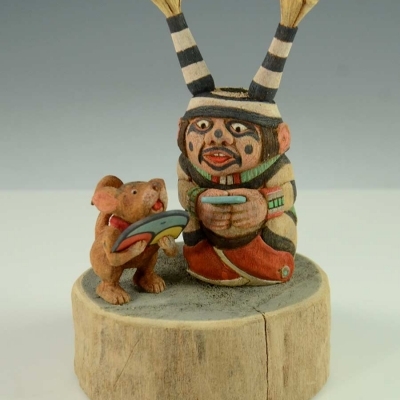 As a student at the Institute of American Indian Arts, he received a graphic arts award. He later did a project with Grand Canyon National Park Services, as well a illustrate a manual on campground services. Ted then went on to work as an illustrator for Navajo Nation Family Planning during the summers of 1986-1988. Ted also illustrated a children’s book for Educational use titled Navajo Nation 1990. Ted started committing more time to being an artist in 1994. 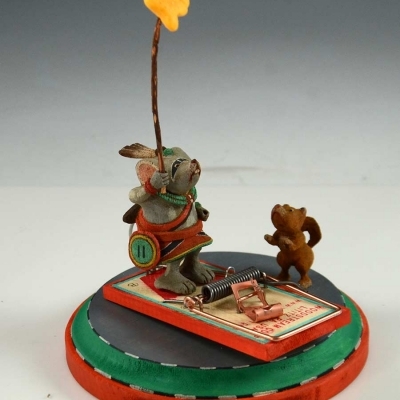 He enjoys designing, painting and most of all carving from miniature to larger Kachina dolls. 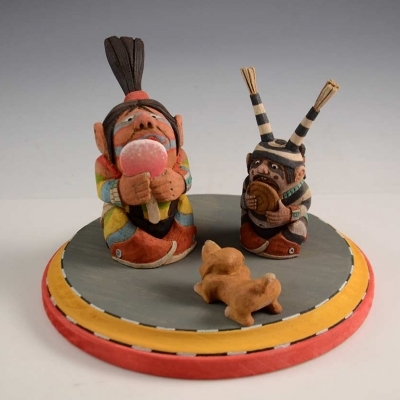 He enjoys doing humorous dolls such as Tewa/Hopi clowns and Navajo clowns with animals. He works hard to capture the spirit and movement of each piece with flare and detail. This Kokopelli Kachina which has a blue face is not one that is carved often. Ted told us that it is a style of Kachina from the 1930’s-40’s. He is holding an amazingly carved flower, a rattle and a staff and has a hummingbird on his head. It is Titled simply, “Blue Kokopelli” and was hand carved by Hopi artist, Ted Pavatea. 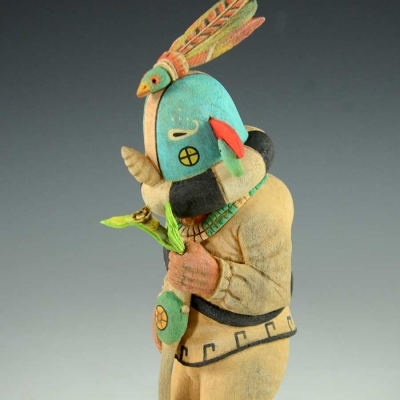 This Koyala Kachina is holding a piece of watermelon and has juice around his mouth. He has a sweet smile on his face and the watermelon has an intricately carved fly on it. It is Titled simply, “Koyala” and was hand carved by Hopi artist, Ted Pavatea. Perfect Kachina for this time of year, this Koyala Kachina is holding a whole turkey over his head as a cat begs for it. It is Titled simply, “Koyala” and was hand carved by Hopi artist, Ted Pavatea.